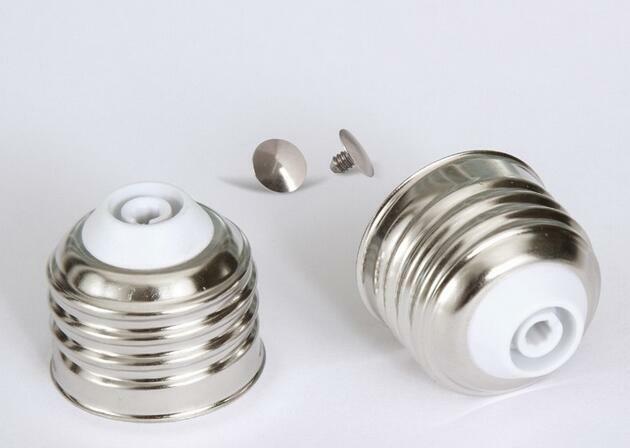 E27 lamp cap free-soldering for led bulbs. 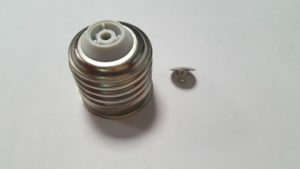 What is a E27 lamp cap ? Named after the pioneering inventor Thomas Edison, the Edison Screw or “ES” E27 lamp cap is used worldwide in a vast range of applications. 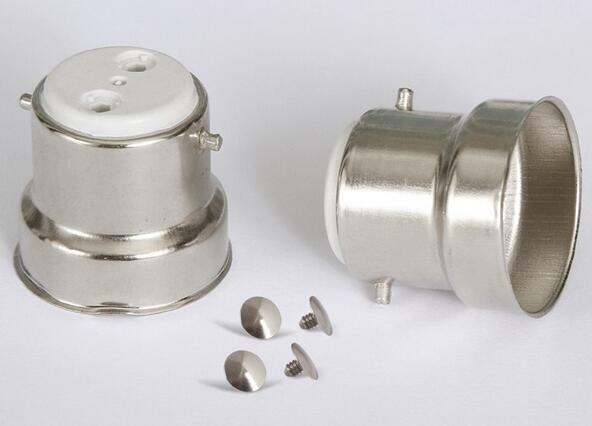 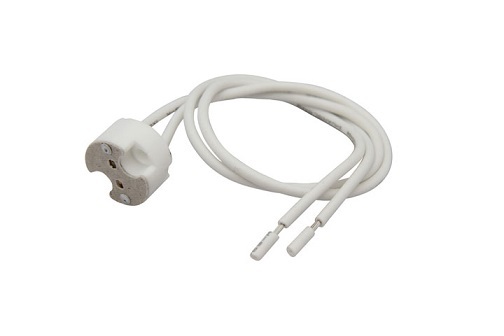 The most popular ES or E27 lamp cap is 27mm diameter and is widely used in both the US and Europe. 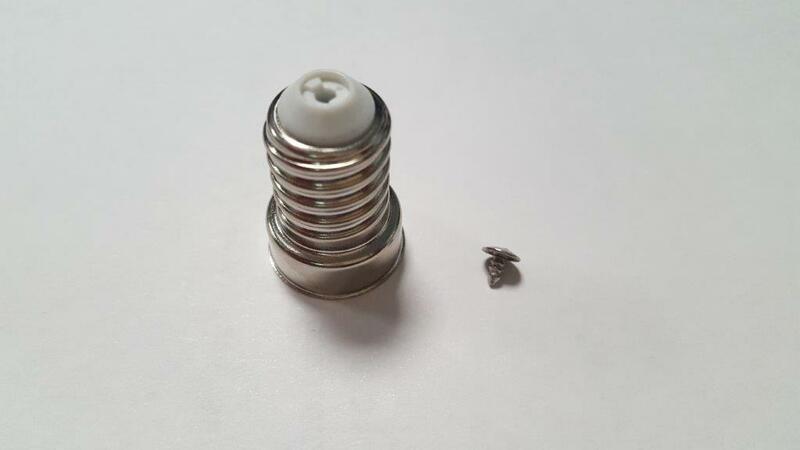 The SES E27 lamp cap is often used for smaller decorative fittings, chandeliers, and appliance bulbs – predominantly in the UK and Europe. 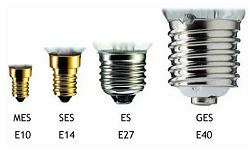 CES is most frequently used in the US and Canada, especially for candle bulbs. 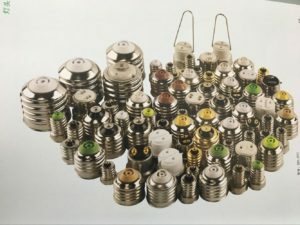 The MES E27 lamp cap fitting is sometimes used in large chandeliers containing perhaps dozens of small lamps. 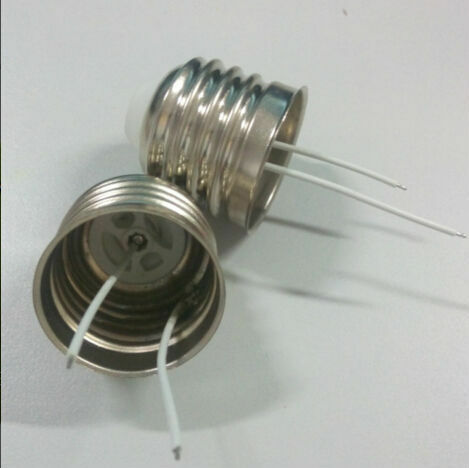 E27/27 aluminium nickel platting lamp cap.